Charlie is a teenage boy, and where we pick up on his life, he is just getting ready to start high school. He really isn’t looking forward to it. He at that point is trying to come to terms with the suicide of his best friend Michael, who shot himself without leaving a note a few months earlier, as well as the death of his Aunt Helen, who was his favourite person in the world. It’s hard to describe Charlie exactly. In reading these letters, there is a innocence about him, and to be honest, there are times when I wondered if he was a bit developmentally challenged. We follow Charlie as he finds his way through his first year of high school, where a short way in he is discovered and befriended by a very interesting duo – half brother and sister Patrick and Sam. A couple of seniors who seem to see something in Charlie and take him under their wing. Charlie is introduced to many new things and new people. He is accepted right away by their friends, and though it is pretty obvious from early on that he is smitten by Sam, he dates one of the other friends, Mary Elizabeth for a time during the story. He is introduced to things such as drugs and parties – as well as the complex relationships between people and the fact that as much as you seem to think you know someone, that they are never all that they seem. Charlie also becomes very close to his English teacher Bill, who also seems to see things and potential in him. He gives Charlie several extra books to read throughout the year, and has him write reports on each one. He is a positive figure in Charlie’s life, and he encourages him to his full potential. 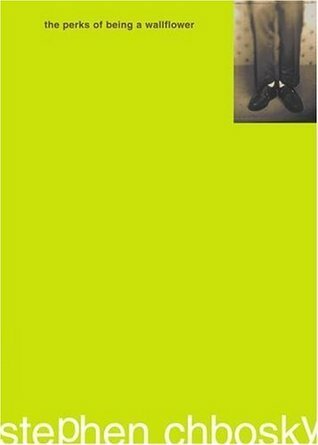 This is a book about the coming of age of a teenage boy, discovering love, coming to terms with events of the past, and hope in moving forward. It is funny at times, usually in the brutally honest way and unfiltered way that Charlie looks at everything, especially his own family and friends. It is heartbreaking, as we find out the events that turned him into the person that he is, and it is heartwarming to read about the relationships that he develops in the book. It is thought of by some as a modern day Catcher in the Rye. 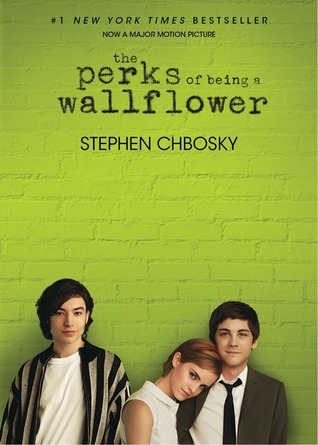 So our book club read this book and then decided that we would go see the movie, which we did just a few nights ago. It stars Emma Watson, Logan Lerman and Ezra Miller in the principal roles. I wasn’t sure what to expect, or how they would translate the format of the book, being the letters – into a movie. I was not disappointed. This was really a very good movie. Perhaps the fact that Stephen Chobosky wrote the screenplay helps, though that is not always the case as in Abraham Lincoln: Vampire Hunter, where Seth Grahame-Smith managed to completely screw up his own book while turning it into a movie. This was a very good interpretation of the novel. There were minor differences, mostly for the sake of continuity, a few things left out, mostly I believe for the same reason. What they were able to do in the movie that was hard to do in the book was clearly define Charlie. Because of the way the book was written, I said above that there were times when I actually thought that Charlie was mentally underdeveloped. The movie does not depict him this way. Though he has struggles socially, mostly due to events and things that have happened to him in his life, he really is mostly just a sweet, generous, vulnerable young boy with some issues. Major issues. The movie, being a visual tool, clearly depicts him in the situations in a way that the book does not. It actually made me want to go back and read the book again, just to see it through eyes that have seen it on the big screen. Overall, I was very impressed, both with the book and the movie. If you haven’t read the book, read it. Then go see the movie. I don’t think you’ll be sorry. I’m walking through Chapters one day with a very dear friend of mine, who just happens to not only share my love of books and reading, but also shares my love of young adult fiction, fantasy, Harry Potter, Hunger Games and the like. Great girl, she is. 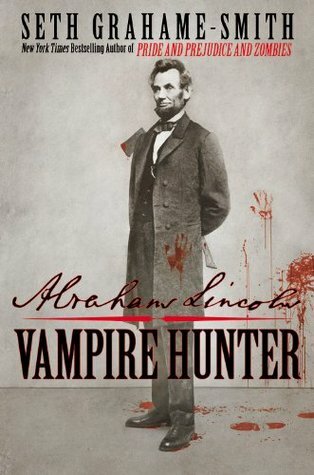 We’re browsing through the stacks and she points out this book to me: Abraham Lincoln: Vampire Hunter by Seth Grahame-Smith. I’m very open minded when it comes to books, but when I saw this one, I had to admit, I was taken aback. 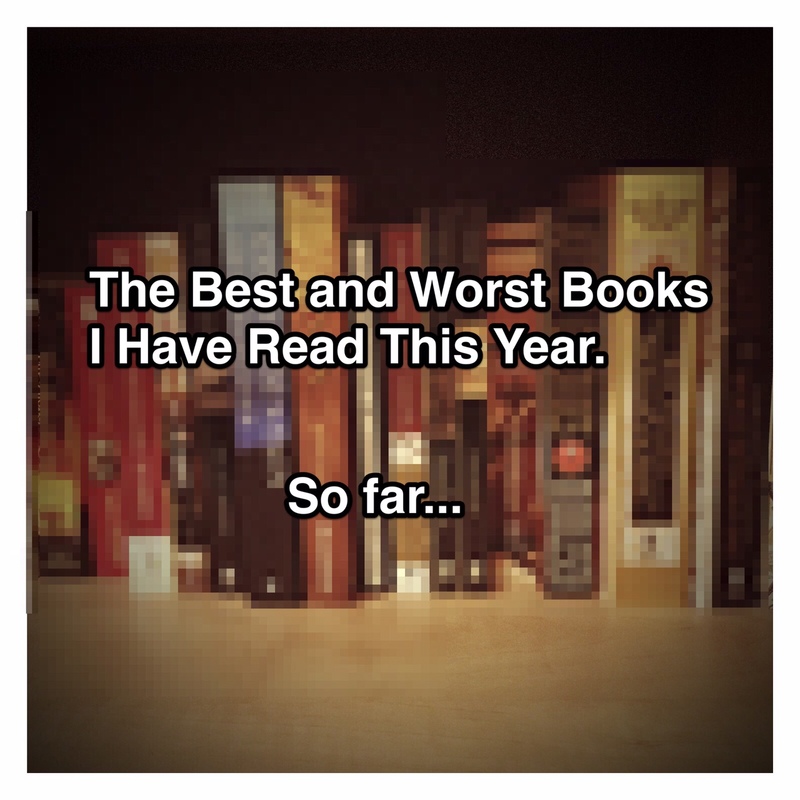 Especially since next to it on the shelf were several copies of Pride and Prejudice and Zombies. I felt a bit like I had entered the Twilight Zone. She assured me though, that it was awesome, so trusting her as always, I purchased it. It sat on my shelf for a while. I wanted to read it. It held appeal, for three reasons mostly – the sheer oddness of the title, the fact that it had vampires in it, and that Karen had recommended it to me. But I never picked it up. Then we went to see the Hunger Games. And there was a trailer for the movie that was being released for this book in June. Karen got quite excited about it, and from looking at the trailer, I thought to myself: I want to see this movie. Well, as I always read the book before seeing the movie, I knew I’d better get cracking, especially if I wanted to see it with her. This book is kind of a story within a story. It is told by a narrator, whose story you get a brief explanation of at the beginning. Without giving away too much, he happens upon several diaries that were written by none other than Abraham Lincoln. He is commissioned to write the story of Lincoln’s life, as told through these diaries, not the ones in the history books. The two are similar, and the main events are true, and obviously Lincoln’s public and political life were documented, but the true motivation behind all of Lincoln’s actions, policies, and drive to abolish slavery were not what you may think. Actually, it was all about the vampires. Starting from when he was a young boy, when a vampire took the life of his beloved mother, Abe vowed that he would do whatever he could to rid the earth of as many of these creatures as possible. This quest shaped his whole life. To be honest, I didn’t know a lot about Abraham Lincoln, aside from the basics. This book gave me a good insight, and I often found myself turning to Wikipedia and Google to verify facts and try to figure out what was real and what was fiction. Whenever I thought of Lincoln before, all I could see in my head was the Abe from Bill & Ted’s Excellent Adventure. A far cry from the man presented in the pages of this book – a towering, limber, fast, strong individual who could cut the head off a vampire with relative ease. I liked this book, but for once, I think I might like the movie better. I can see how this book will lend itself to a movie in such a way that it may be portrayed better on screen. If you’re into that type of thing (if there is that type of thing) I recommend it. It will make you look at this historical figure in a different light, and perhaps learn a few things about him as I did, by reading past the fiction and about the actual events of his life. 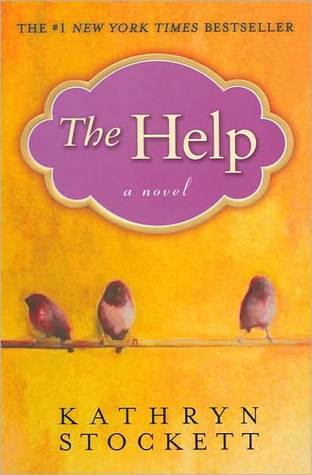 I never knew why I have never reviewed the book The Help by Katheryn Stockett as I read it quite a while ago and absolutely loved it. Gave it 5 stars, recommended it to everyone I could possibly think of to recommend it to. Now I know why. Because I was waiting for the movie to come out, so I could review both at the same time. I almost feel the need to review them both at the same time, because they seem like two halves of a whole to me. I don’t know if I’ve ever watched a movie based on a book that I’ve read that made me feel like this one did. I truly felt like it was an extension of the book. And I loved it. The story takes place in Jackson, Mississippi, in 1962. It revolves around three main characters, and is told in each of their voices. Skeeter, a white, 22 year old woman who just graduated from college, comes home to get a job at the local newspaper. She has dreams of being a journalist, a novelist, both. She is idealistic, and has huge dreams for herself, way beyond the small town and her “friends” there that live their lives around their bridge club, and the white society that they have built up for themselves. The other two characters in the story are Aibileen and Minnie. They are two black maids that work for white families in the town. The line between the black folk and the white folk is drawn so carefully, and observed so firmly, that it is enough to make you so incredibly angry at some parts at the ignorance and audacity of some of these people and the way they think. Though it was so common in the South at the time. 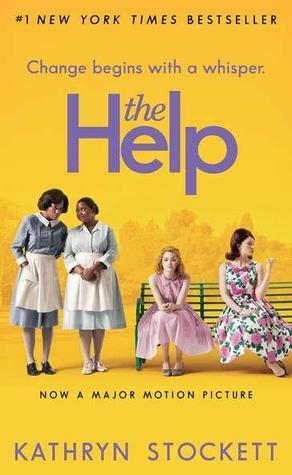 I won’t ruin the story, but it basically centers around Skeeter wanting to write a book about “The Help” and how they are treated in Jackson. There is a ton of back story, so much to this story, and it is written using the voices of three very different women, who come together to do something that will maybe, hopefully, make a difference. I loved this book so much. I loved how each woman’s voice was so distinctive. Even though her name was written at the top of each chapter, it was written with such individuality that it was unnecessary. This movie I felt really did the book justice. They did take some liberties with the story, and changed things around, as they often do when making a movie, but these didn’t bother me at all and I’m sure were mostly done due to time constraints. It would be impossible to fit all the bits of story into a two and a half hour movie. It would be more like a mini-series. But the casting choices were bang on I thought. There were many familiar faces. All of them perfect for the roles they were chosen for. Read it. See it. That is all.